Four members of the USC Salkehatchie basketball team spent Friday Dec 6 at Allendale Fairfax High School visiting Ms. Seniors freshman focus classes to talk with the high school freshmen about what it’s like to be a college basketball player. 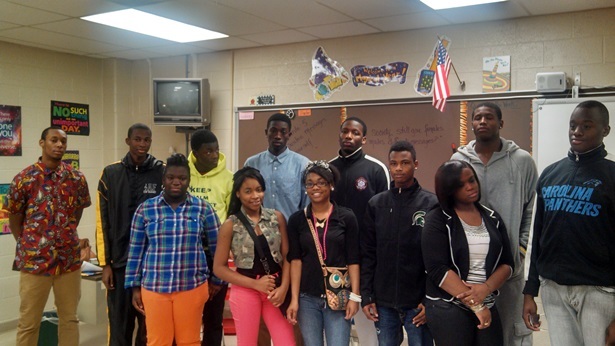 Pictured are Jeremy Wallace, Daquan Grant, Joel Clark and Scott Hollins with a group of the students.